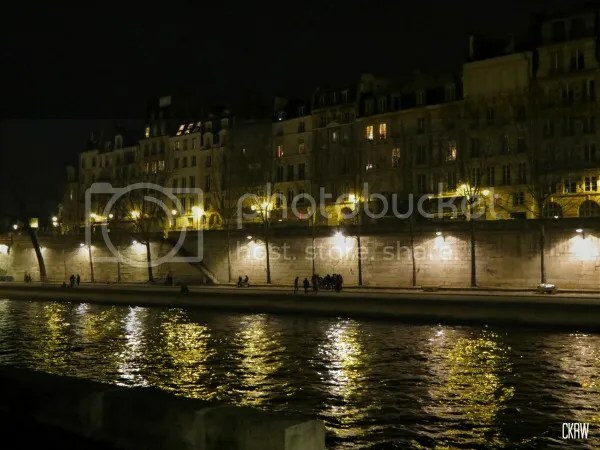 On our first night in Paris after our meal, we wandered along the river at in the dark – one of the best ways to take in the city of lights. Couples were cuddling, friends were blowing lazy and very French streams of cigarette smoke, a few boys were making inappropriate comments to passing women and being rebuffed with perfect flicks of their eyebrows, and everything was bathed in soft gold light. Paris conflicts me. On the one hand, it’s stunningly beautiful. It’s colors of stone and slate are instantly recognizable the world over, and it wears both its age and good looks well. London, by comparison is certainly less romantic and elegant (Paris does have the advantage of not having been Blitzed in WWII, it must be said), and I think in many ways it’s less beautiful… but I still love London more. Sometimes I feel like I’m not supposed to, like I’m obliged to adore Paris for the sophistication and je ne sais quoi that defines it over London’s rougher edges. But I don’t. I can’t help it. As much as I admire them and long for a touch of their style, I’m not a French girl at heart. I salute the Audrey Hepburns of the world, and will never stand in the way of a person who dreams of the Eiffel Tower, much less bash a genuine love of pastries and good dressing. Hell, hand over the pain au chocolat and wrap dresses! 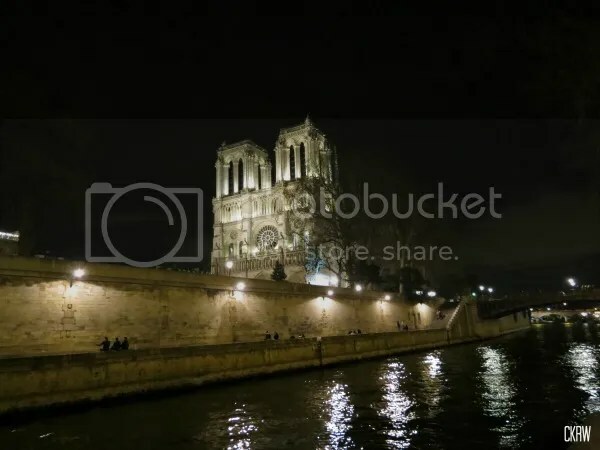 But as stunning as the Seine is at night, I’m afraid that in defiance of both convention and accepted popular taste, I say give me the Thames. I plan on coming back to Paris as often as I can, but the truth is that London got her hooks into me long ago and I doubt I’ll ever get them out again. And I don’t particularly want to. That quote at the top of the post is one of my favorites about the two cities, and in the end I much prefer the riddle!